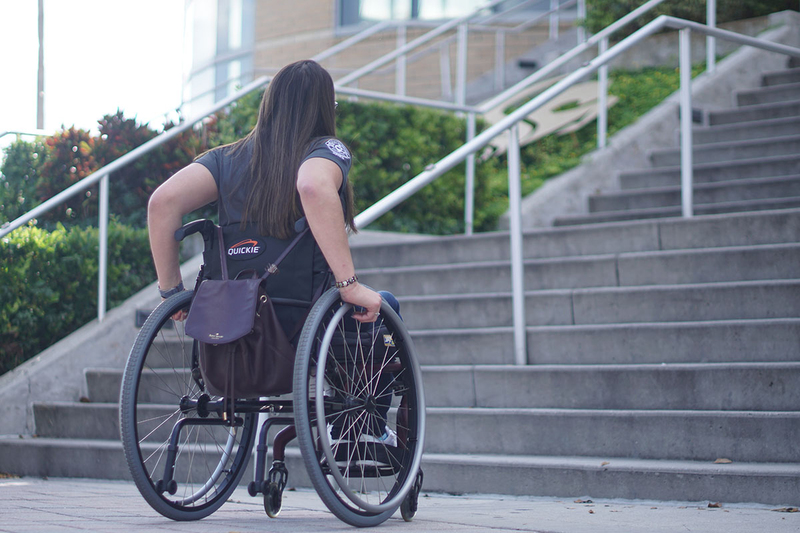 UCF Forum columnist Katherine Torres on society's role in promoting accessible and inclusive environments. Take a second and think of a place. It can be your home, where you work, the last location you visited or your dream vacation spot. Do you have a place in mind? Now picture yourself at that place, but you are unable to walk and you’re using a wheelchair. Would you be able to successfully maneuver around without any issues? Are there any barriers you might encounter? If so, what kind of emotions do you think you would experience when you come across those barriers? Maybe a sense of panic? Anger? Sadness? Confusion? These are situations I have to constantly think about on a daily basis whenever I go to a new place or when I get invited to a place I have never been. Sometimes I get laughed at when I ask someone if the place they’re inviting me to is accessible, as if it’s a silly question. When I call a place and ask if their location is wheelchair friendly, they sometimes seem confused and don’t understand exactly what I am asking. If I do not get the answers I am looking for, I find myself going on Google or Instagram trying to find pictures of the location and making an assumption based on what I see. Yet, at times, what I see online isn’t what it actually is like in person. Just recently I was invited to a state park to celebrate my best friend’s birthday. Before I was invited, my friend called the location and asked a worker if the park was accessible. The worker said, “Yes, of course, we are completely accessible.” When she told me that, I was looking forward to going because I have never been to a state park. But when I arrived, that was not the case. Yes, the location had ramps and sidewalks that took people from spot to spot, but when it came to the actual activities to do, it was not accessible at all, and I was stuck in one spot the entire time while everyone else was off canoeing and kayaking, which I have been able to do before with modified equipment. When thinking about accessibility, we need to look at the entire picture, not just bits and pieces enough to “get by” the minimum Americans with Disabilities Act requirements. It is not my fault or my parents fault that I was born with a disability that made me unable to stand or walk, and I have had to spend my entire life utilizing a wheelchair. All my life I have had to approach situations and constantly find ways to adapt how I do things, so for me this is something I have learned to accept and not let it bother me. However, not everyone who uses a wheelchair was born with a disability. Life can throw unexpected and unfortunate events at people, and their lives can change in the blink of an eye. It is extremely scary when you come up to a building that has a big staircase and the sense of panic rushes through your body as you start searching for an elevator or an accessible-entrance sign. It’s frustrating when you need to go to the restroom and the only handicap stall has an “out of order” sign on the door. It is upsetting when all your friends can participate in sport leagues but you can’t do something comparable because it’s only for able-bodied individuals. I understand that we can’t always change everything and make every part of life accessible, but that should always be a topic of conversation. As a society we can do so much better with this. The resources are out there; it’s all a matter of taking the time to do the extra steps needed to make places accessible for those who need it. Not only is that promoting an accessible environment, but it is also promoting an inclusive environment where all feel comfortable and welcome. 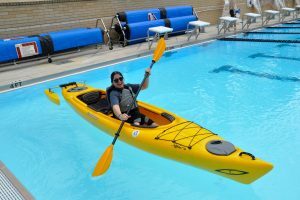 Katherine Torres is the facilities scheduler at the University of Central Florida’s Recreation and Wellness Center. She can be reached at Katherine.Torres@ucf.edu.